We offer chefs plot sizes ranging from 500 meter-squared to 1 acre (half acre plots available too) depending on your needs. We deliver whatever you grow twice-a-week to your kitchen. We sell the plot not the crop. Our chefs get a fully managed farm plot, delivery and amazing crops that they control and request all for one fixed sum. We help address the all sorts of waste problem in commercial kitchens. We are partners with an amazing company called Pale Green Dot. 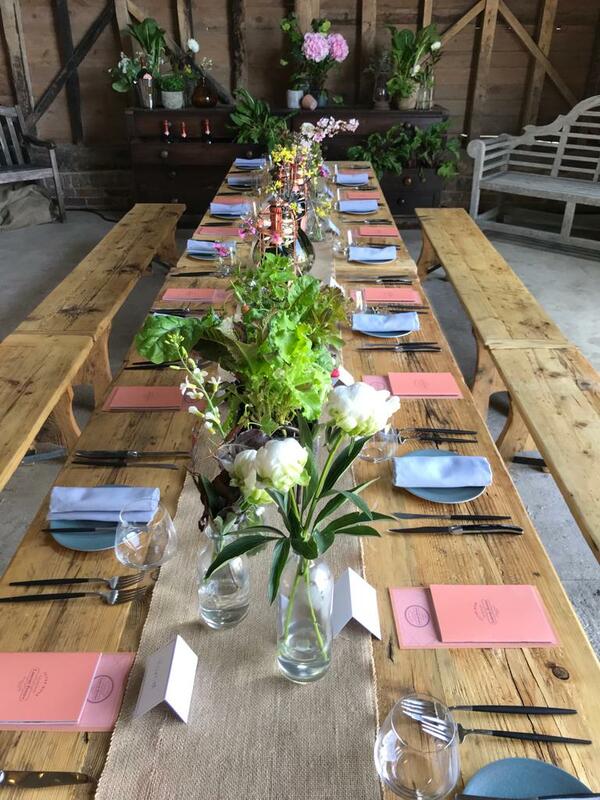 We’ve held exclusive events on the farm for our chefs and their networks, providing a perfect setting for book launches, tasting evenings and celebrations. We host regular company away days on the farm, providing your team with a unique day out in a beautiful venue and an opportunity to get your hands dirty.